Nikon 55 mm AI-s Lens: WOW! I’m gonna share with you all some information (and sample photos) about the Nikkor 55mm AI-s *Micro* lens. First (and selfishly), because I’m bored. Secondly, (and unselfishly), because this lens is worth the time and effort to write my thoughts about it. The Nikkor 55mm AI-s was introduced in 1979. I won’t gonna bore you with technical details (I hope), but I’ll let you know this: It’s a manual lens, with great optics and sharp image quality. You can get one of these at Ebay between $70 to $140. The price may vary due to the lens condition. It doesn’t matter if the lens looks like crap, as long the optics are clean and free of fungus, mold, etc.. But If you’re patient enough and wait, eventually you will come across with a nice copy, like this one! This lens goes from f/2.8 all the way down to f/32. F/ 2.8 aperture It’s always a welcome feature if you need to shoot in low light conditions. If you have a 35mm film camera or a FX digital camera, obviously, you’re gonna get 55mm from the lens. But if you use this lens on a DX digital Nikon, you will have an equivalent of 82mm. DX sensors (cropped sensors) have a multiplication ratio of 1.5 times on any lens. Keep that in mind! Either way, I think this Nikkor it’s a great “portrait lens” in any format. As it shows on the picture, at its closest focal range, the lens barrel will be fully extended. The Nikkor lenses flexibility at its finest ! NOTE: Lower-end digital cameras models like the D5000 and D 3000 series, won’t be able to read with “manual lenses type AI & AI-s”. You can still use them with some sort of “Light meter” app to calculate the correct exposure. 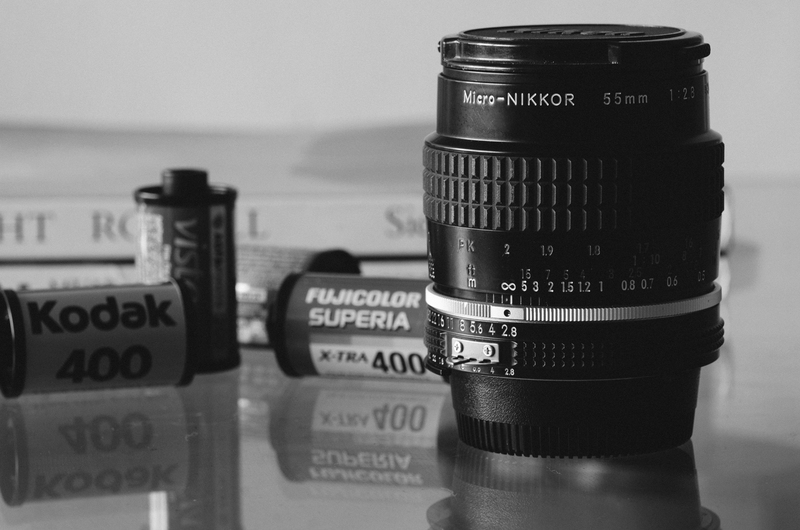 If you use film, the same applies to the Series “N80, N65, etc”. You have been warned! Ok. Let’s go to the point! If you’re like me, you probably don’t want to keep reading anymore. I get it. You are a visual person. Here are some samples. HEY! They are JUST SAMPLES. Nothing special, just corny samples. As I did mention before, if you’re using a DX camera (crop sensor), you will be able to “get closer”. Due to the 1.5 times multiplication factor of the DX format. After a sunny afternoon taking cheesy sample pics, Who wants a beer? All the samples were taken with a Nikon D7000. Some basic editing here and there, but I swear I didn’t use the “sharpening tool” at all! What you see is what you get. That’s the lens IQ’s talking. Awesome post! Right now I need that lens! …and a Nikon SLR!